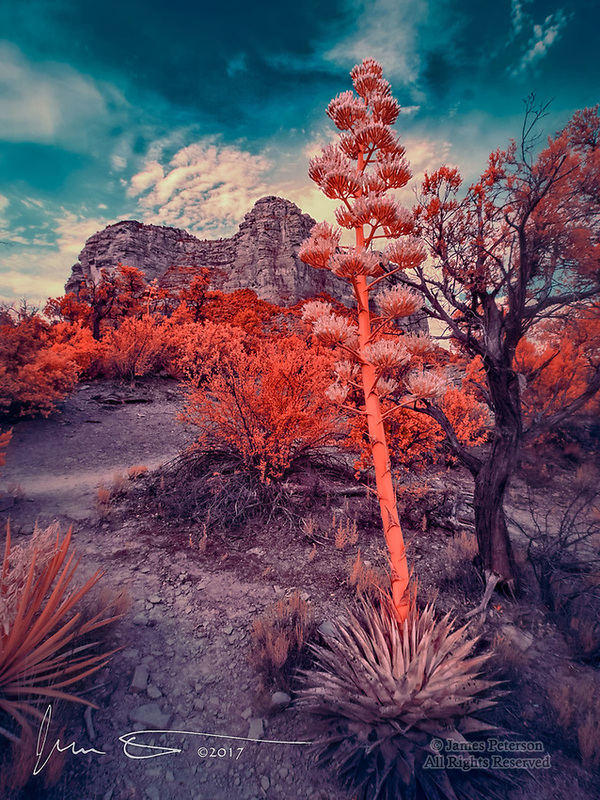 Century Plant and Courthouse Butte (Infrared) ©2017 James D Peterson. This image was captured along the Courthouse Loop Trail near Sedona, Arizona. Century plants (a type of agave) bloom in the late spring. They are very popular among hummingbirds, but only flower once in their lifetime. They die immediately after dispersing their seeds.